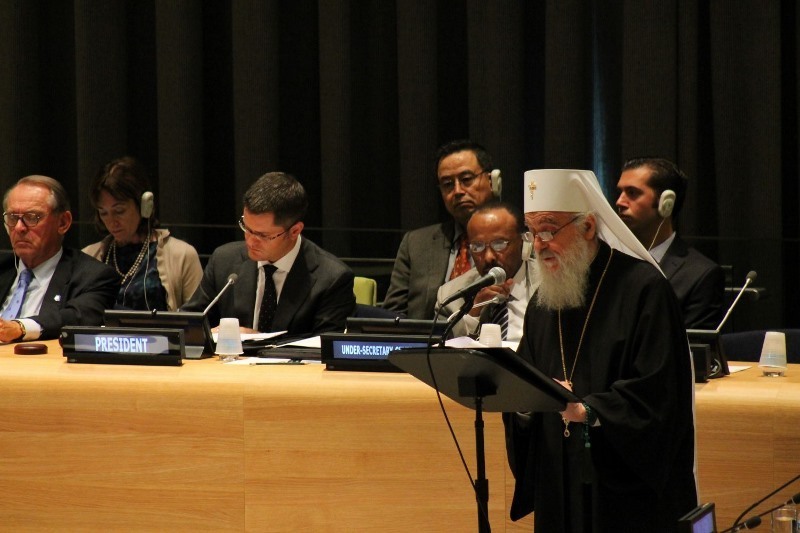 New York, NY - At the initiative of the President of General Assembly of United Nations Vuk Jeremic "High Level Forum on the Culture of Peace" to be held today at the seat of the world organization in New York, at which one of participants will be Serbian Patriarch Irinej. This one-day event will be a opportunity for UN member states, political and religious leaders, as well as government organizations to consider how one could improve tolerance, culture of dialogue and mutual respect in international community. . The conference will consist of ministry segment and three interactive panel, and besides Serbian Patriarch, the meeting will be adressed by president of the Islamic Society of North America Sayyid Syeed, as well as rabi Eli Abadi.